With a resource like the one I am going to give you today, I am very glad that I posted that information last week about getting more information in less time. 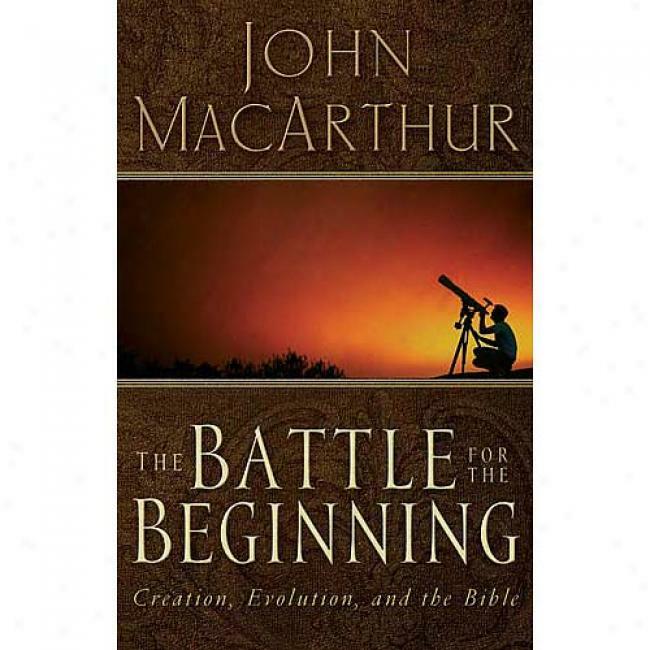 Because this week, I am all keyed up to offer you John MacArthur's "The Battle for the Beginning". Regular readers know that I am a Biblical Creationist and that I reject evolution. (In case you're curious, I reject it on its lack of science as well as believing what the Bible says.) I have stated on occasion how compromising the Word of God with man-made scientific philosophies causes all sorts of problems with other parts of Scripture that cause a need further compromise; a theological "domino effect". John MacArthur covers this, and more. He mentions some of the scientific errors in evolution. (Unfortunately, he touches on some items that I wish he had left alone, but I think they were hot items when this series was delivered in 1999.) My main concern is the authority of the Bible. Are you going to believe God or use ever-changing man-made theories to interpret the Bible? 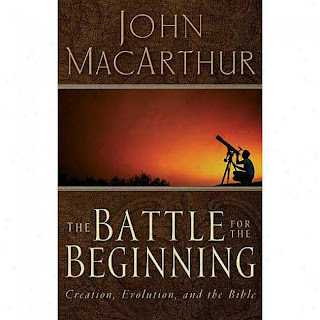 It is in the best interests of every Bible believer to give "The Battle for the Beginning" a listen. As always, MacArthur's materials are free to listen, free to download or available for purchase. While looking for images, I discovered that a book version came out, if you're interested. No, I am not getting anything for recommending this. Looks like another great resource. It looks to be another of his series? This may be something I can transfer and use!